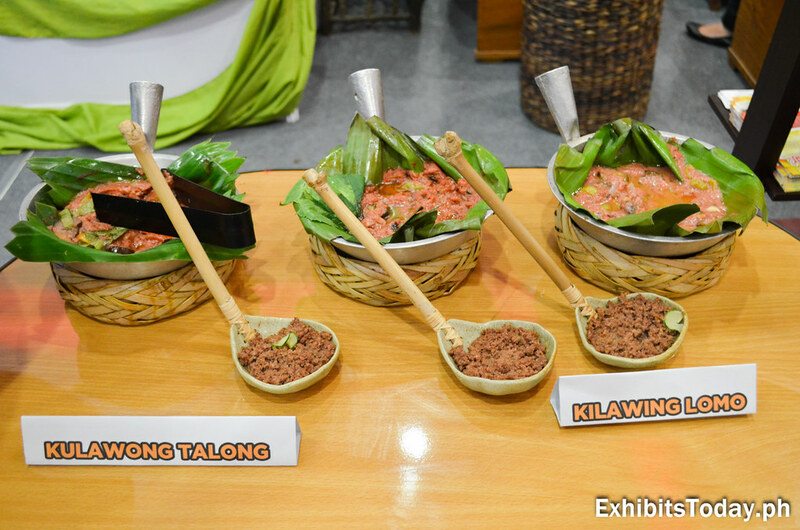 From the Southern part of the country, the Zamboanga Tourism Council shares the delicious taste of their proudly made native food products. 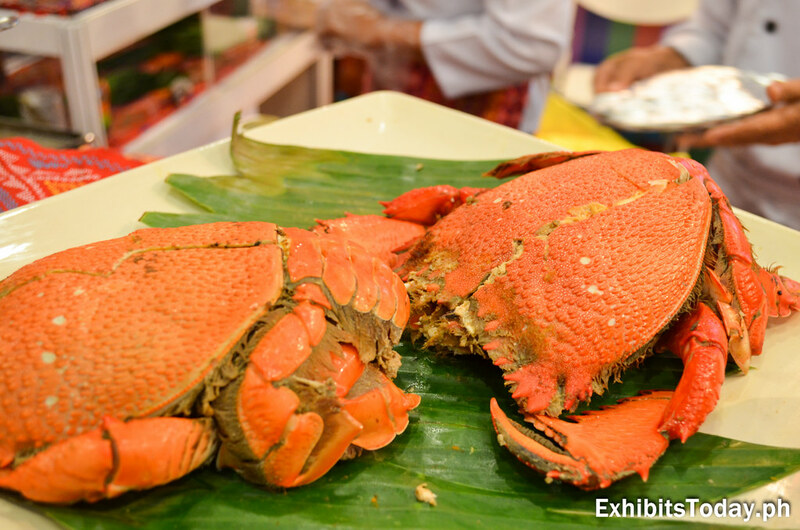 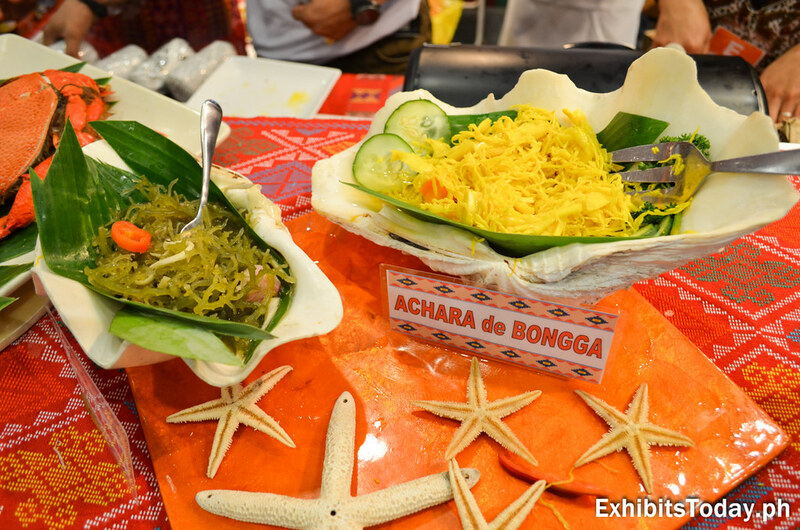 Two spanner crabs, which are known as "curacha" in the province of Zamboanga, are served along with "achara de bongga". 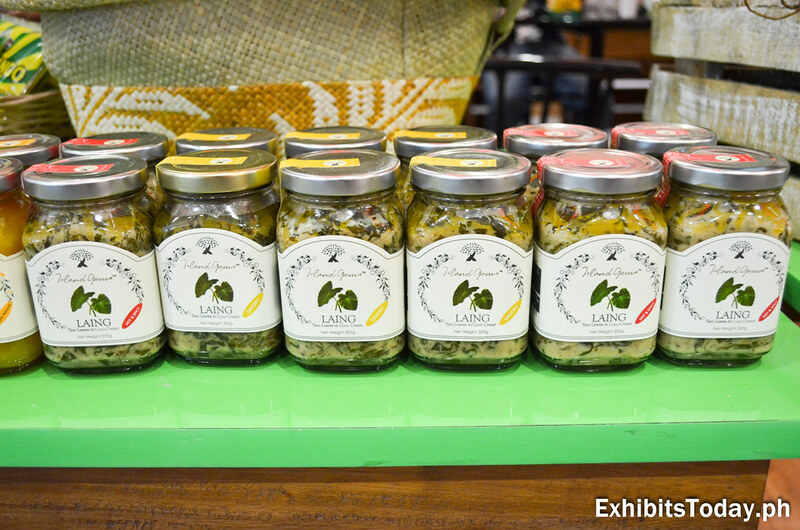 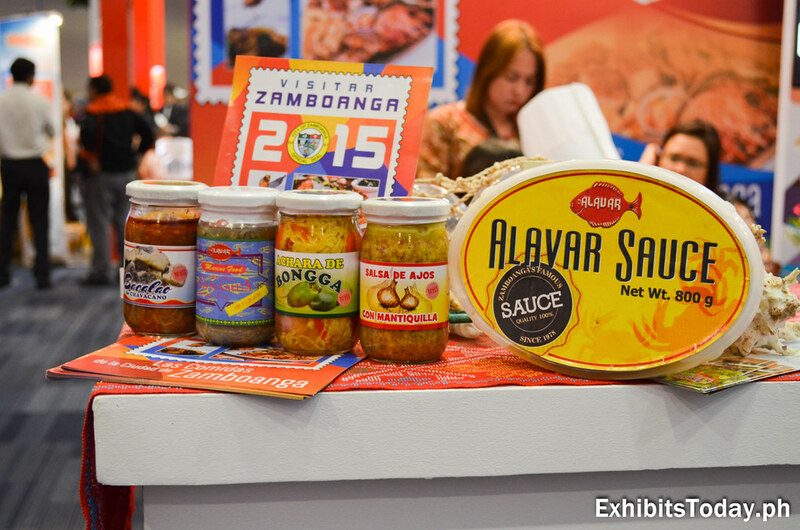 The Zamboanga's famous Alavar sauce is also free to taste, which are perfect to partner to the "curacha". 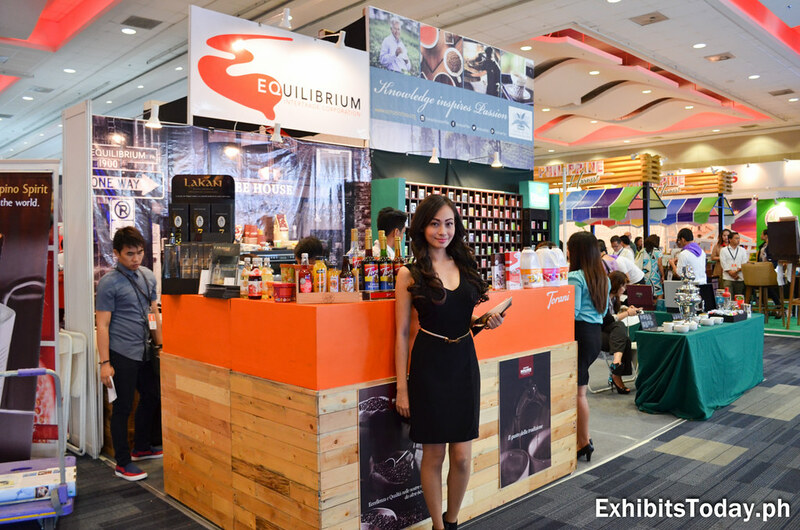 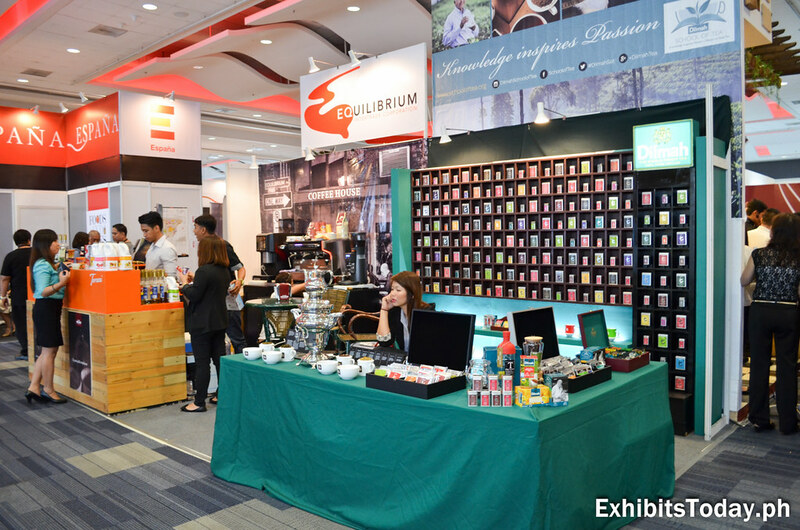 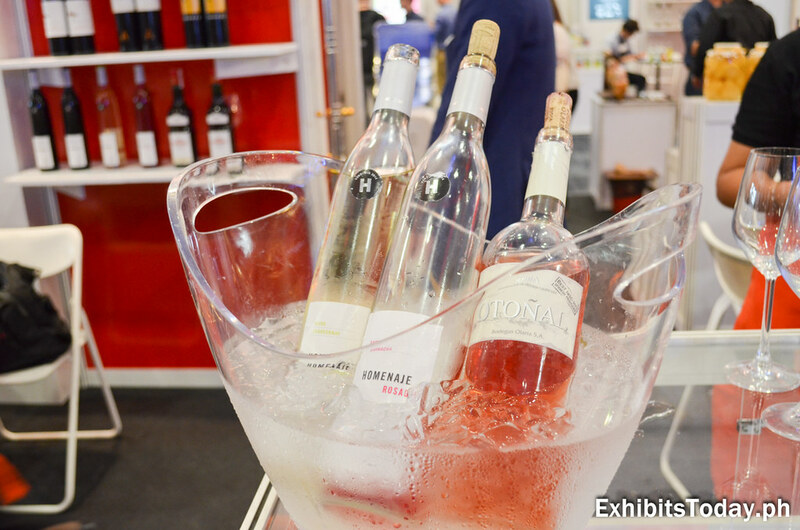 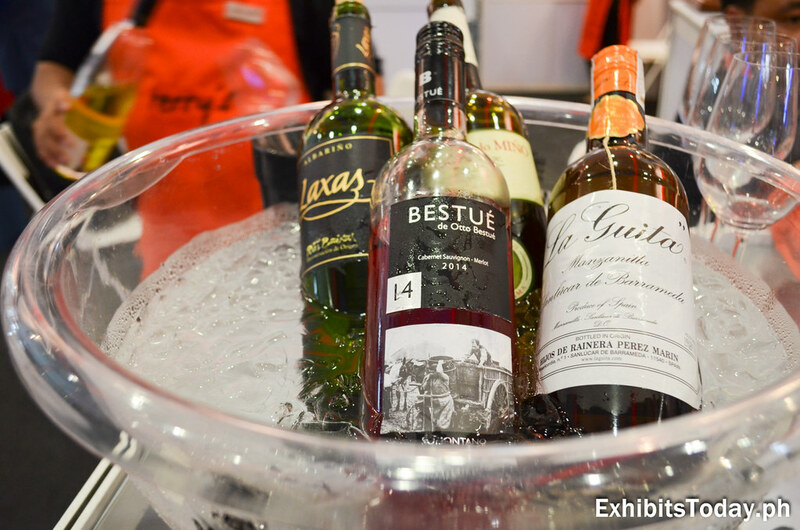 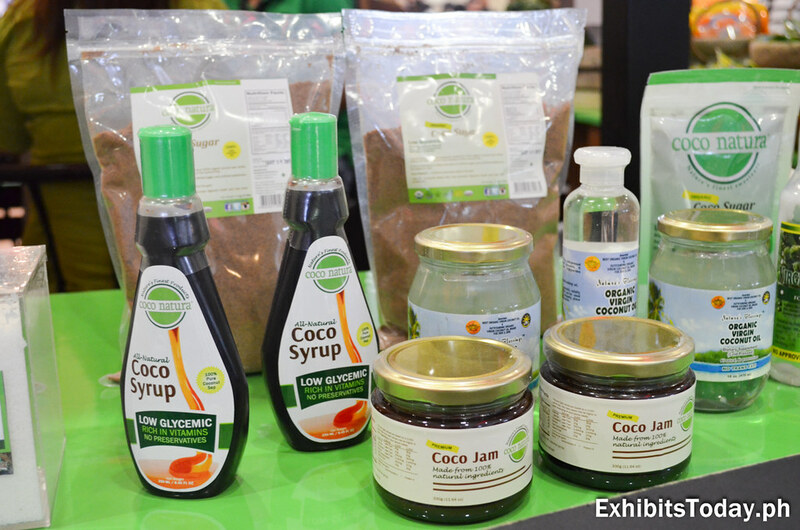 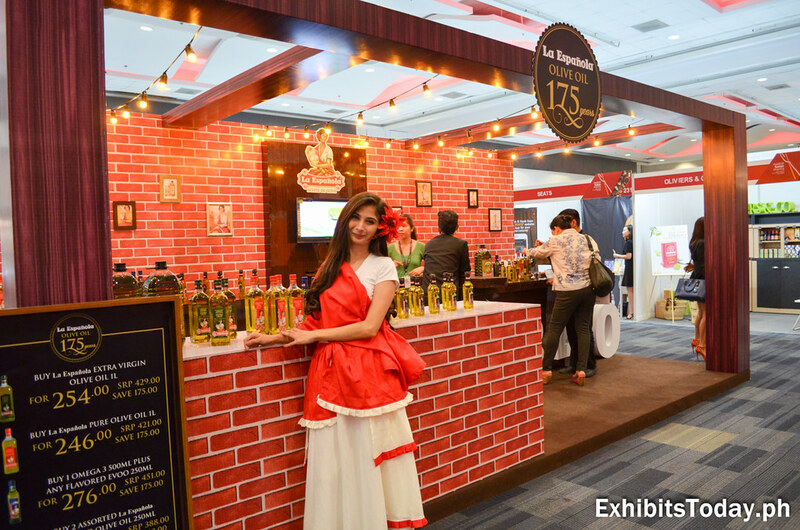 World-class beverage solution EQuilibrium Intertrade Corporation promotes their own version of "lambanog" using their premium brand products. 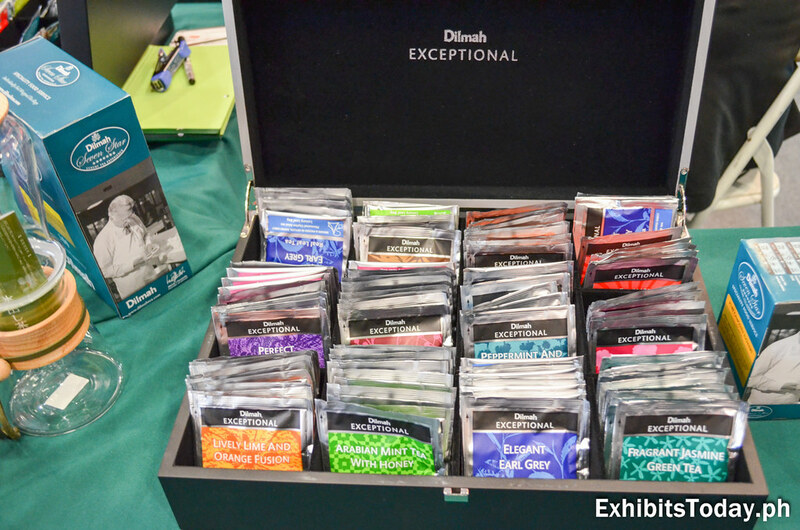 Tea enthusiasts can go gaga over to the wide variety of tea products in different flavors by Dilmah. 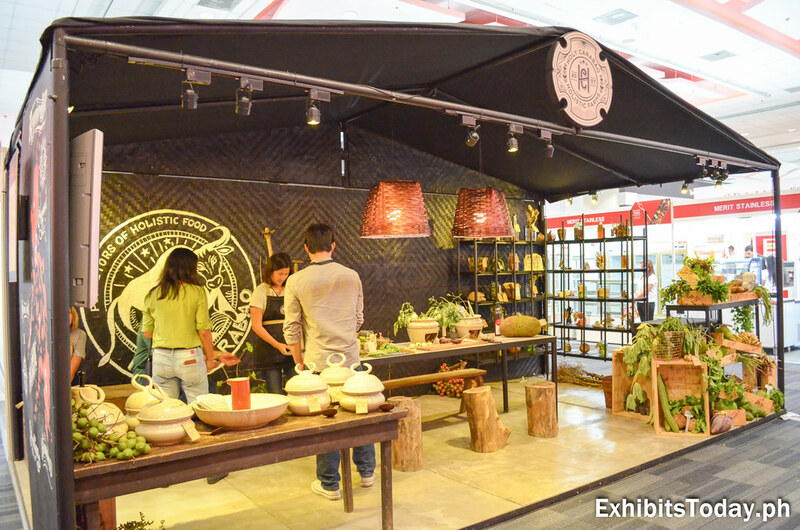 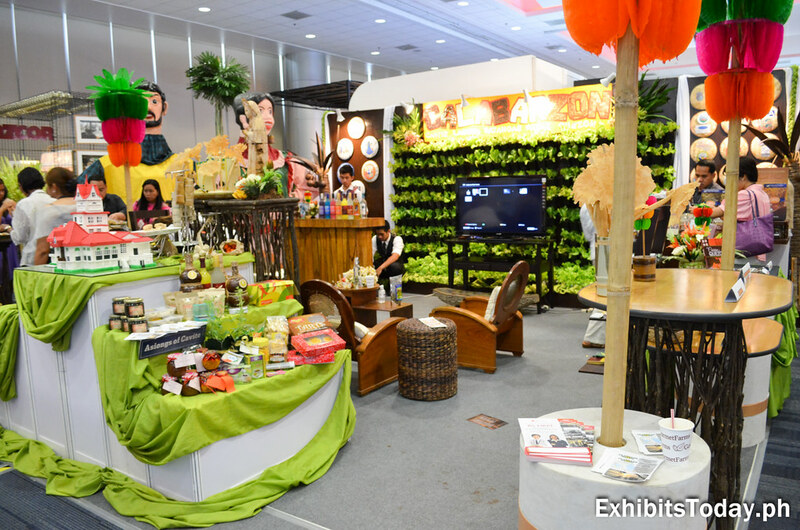 Another good-looking exhibit stand is by the Holy Carabao Holistic Farms. 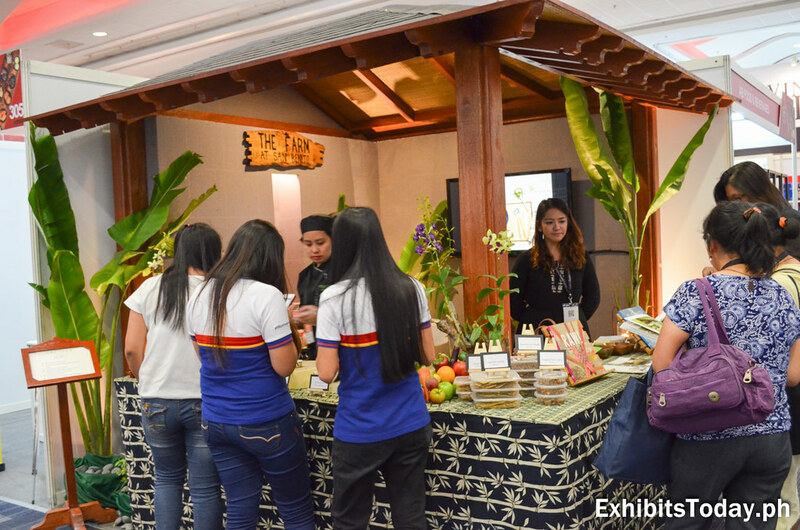 Here they brought samples of fruits, vegetables, rice and meat harvested straight from their farms. 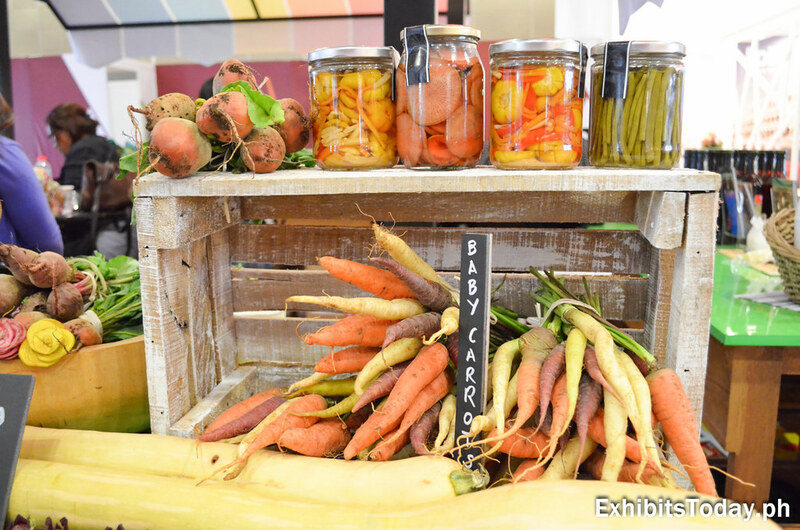 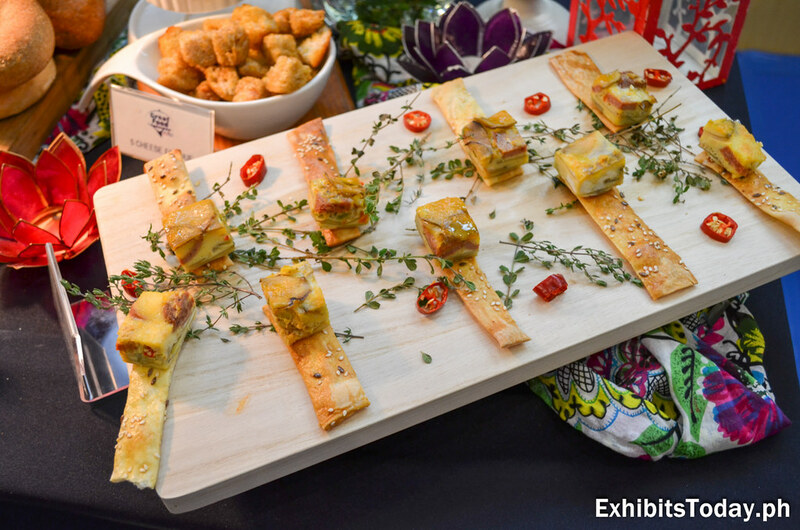 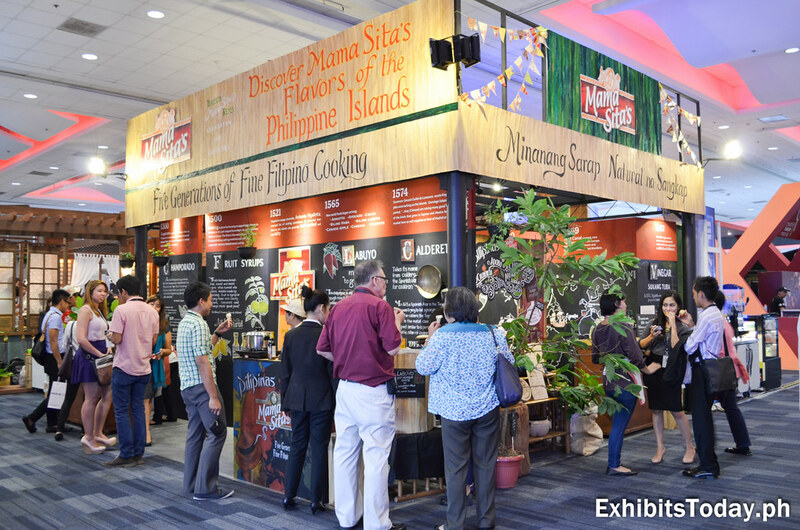 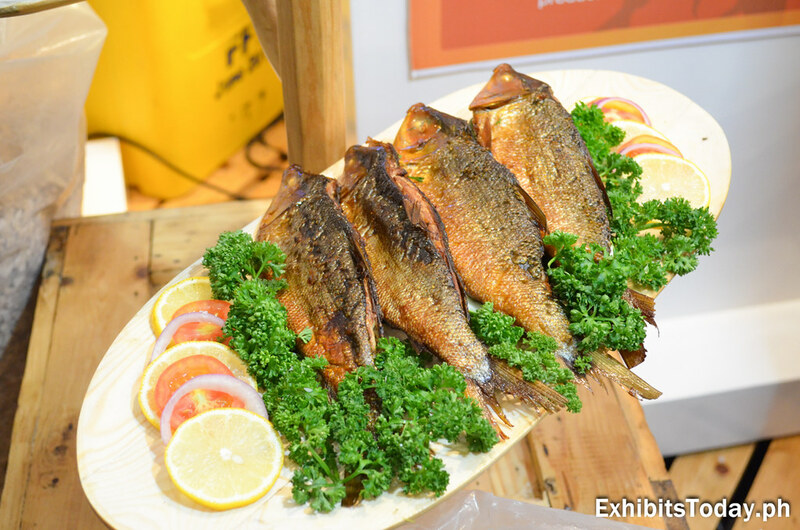 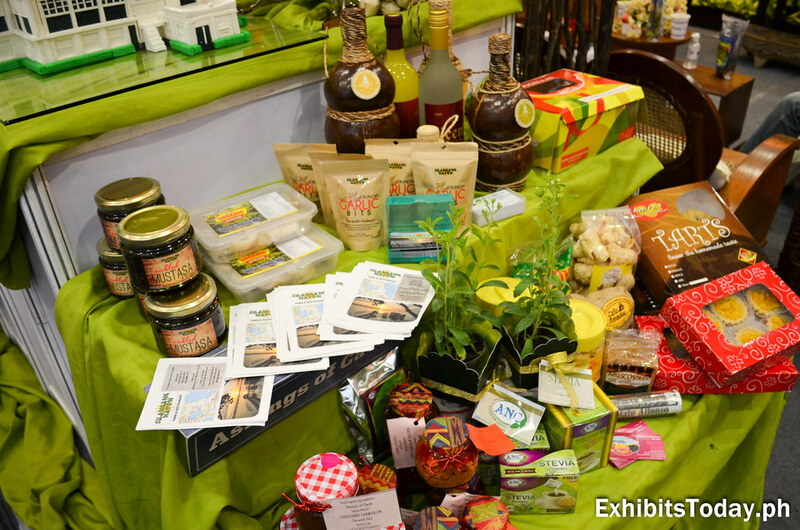 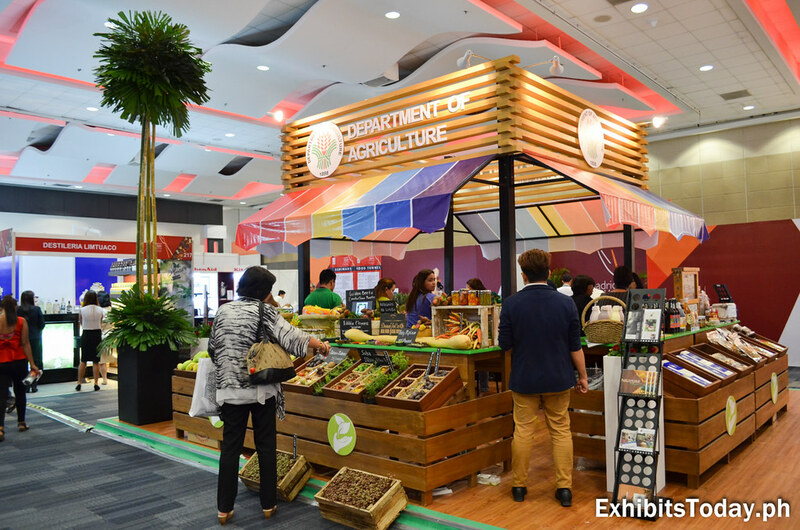 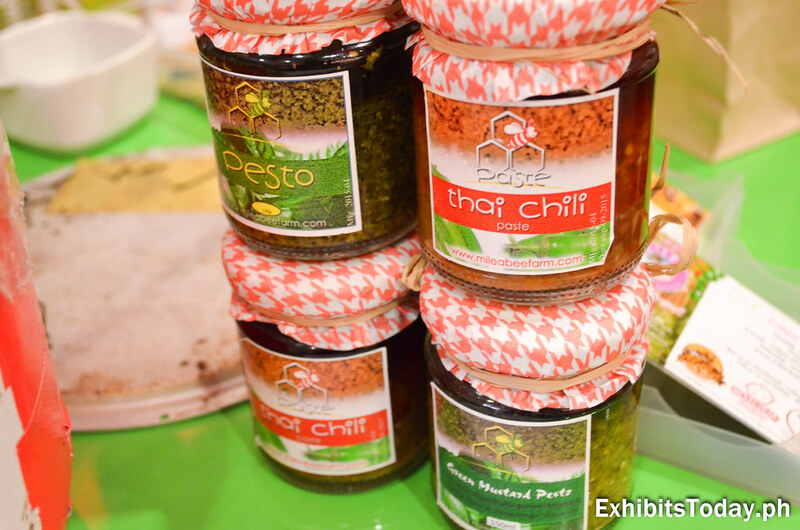 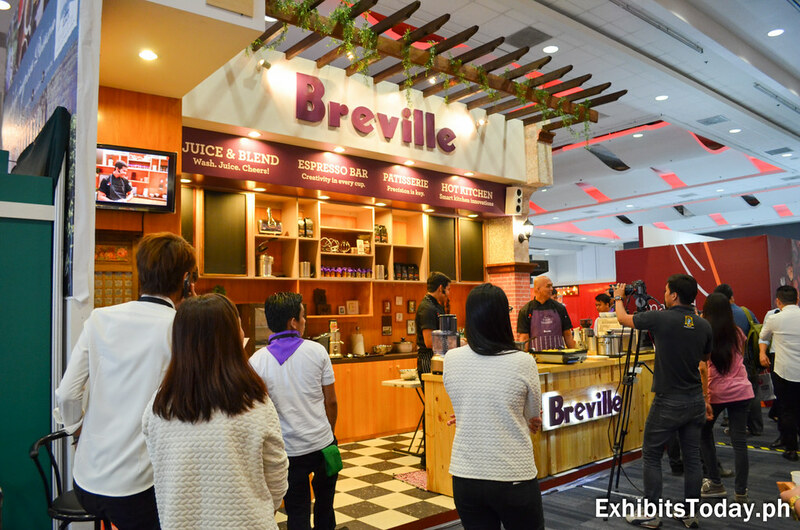 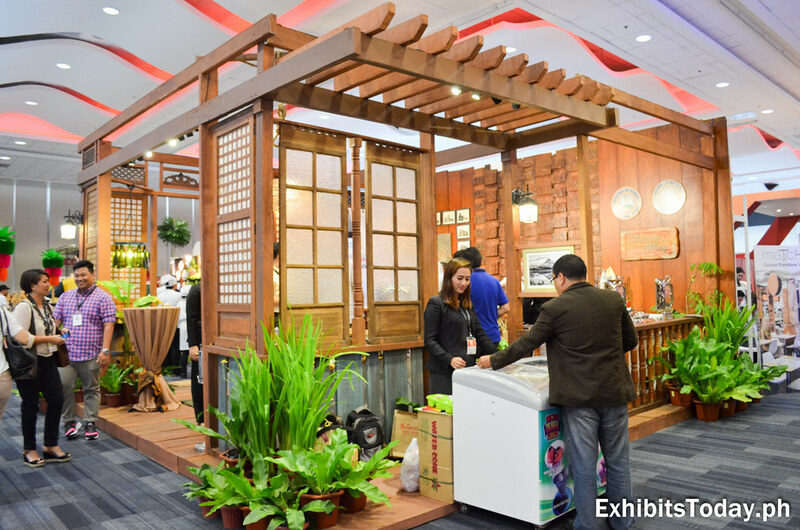 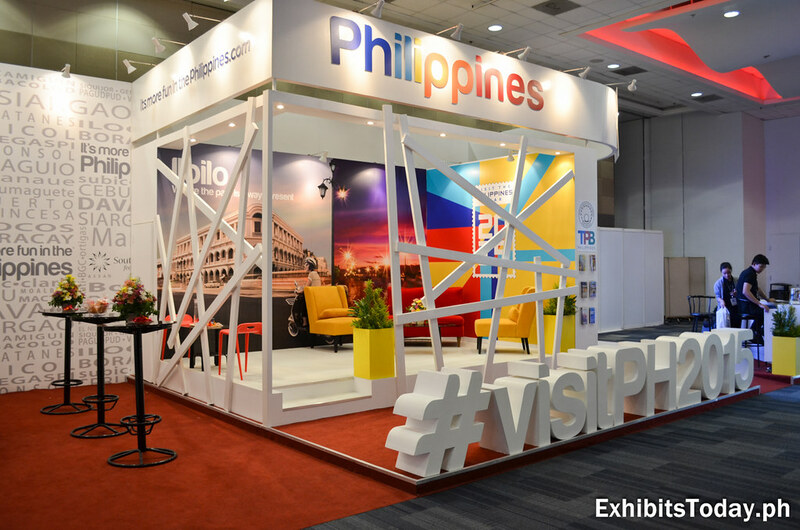 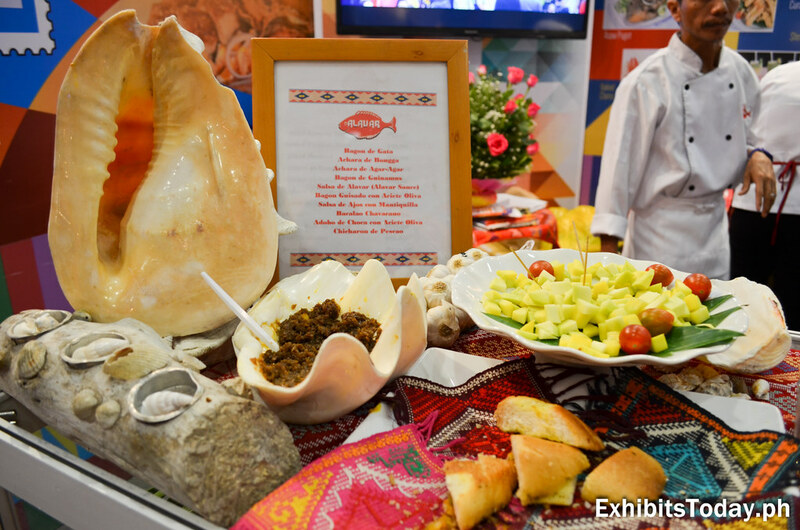 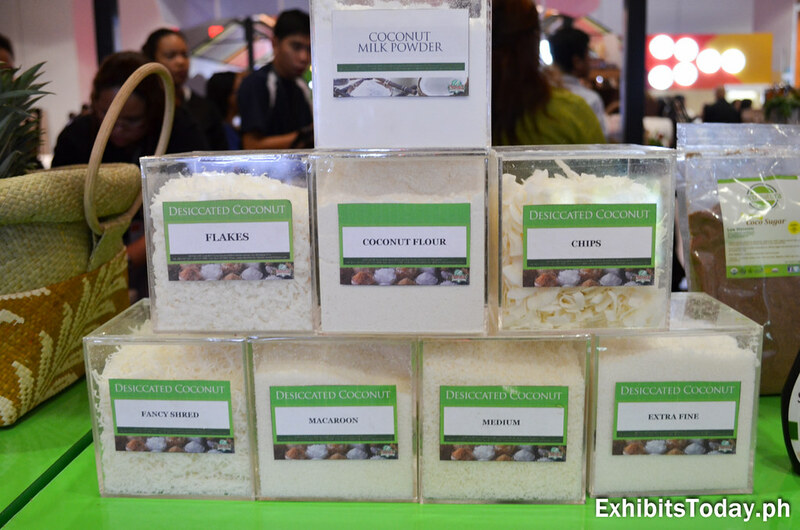 Along with the Tourism Promotions Board Philippines, the Department of Agriculture are also present to market showcase some of the best of the Philippine food delicacies. 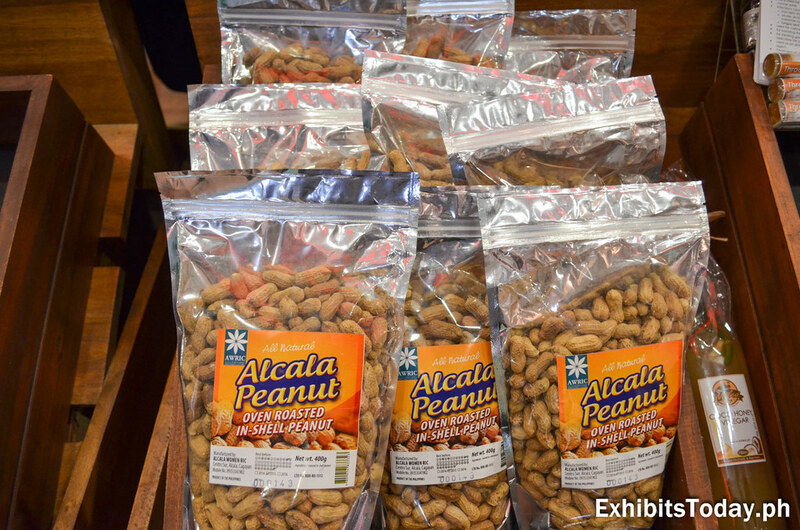 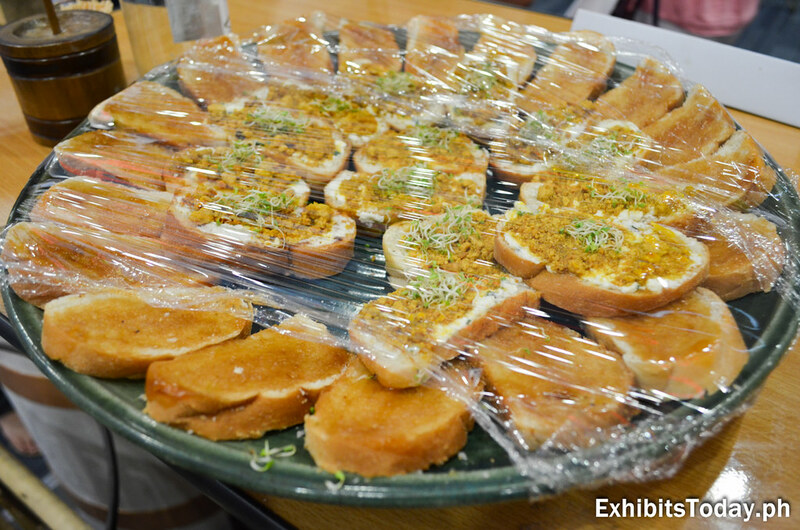 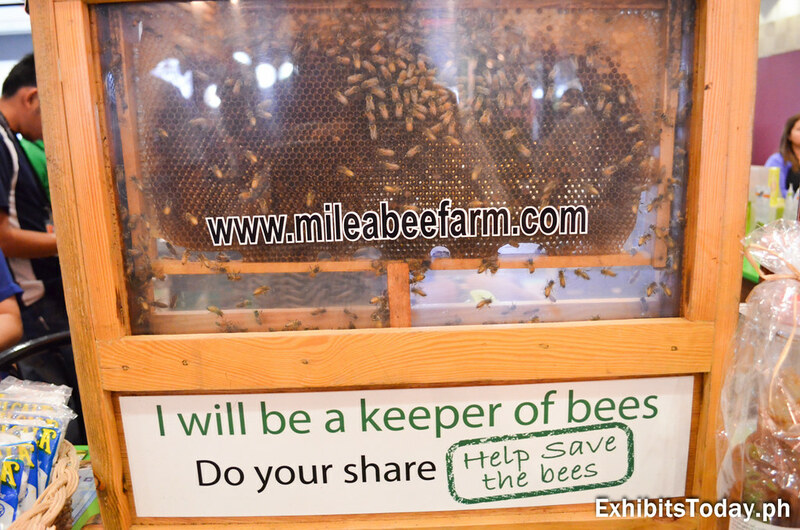 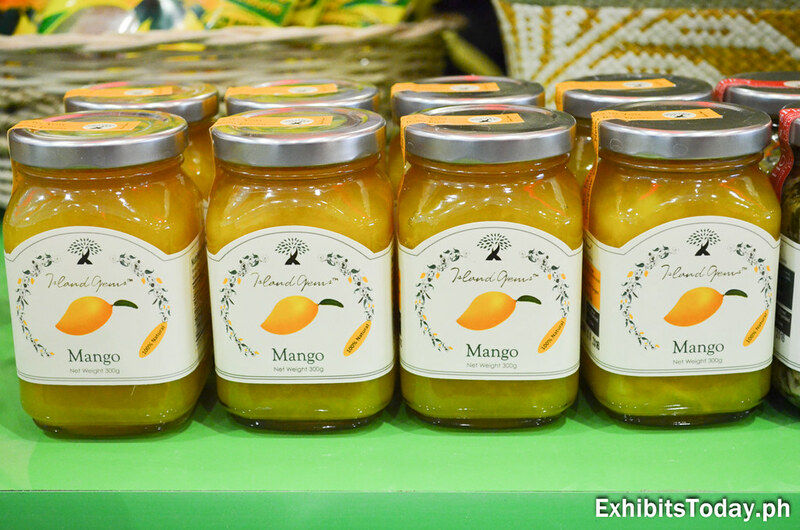 Moreover inside the DOA trade show pavilion, Milea Bee Farm brings a sample of their bee farm. 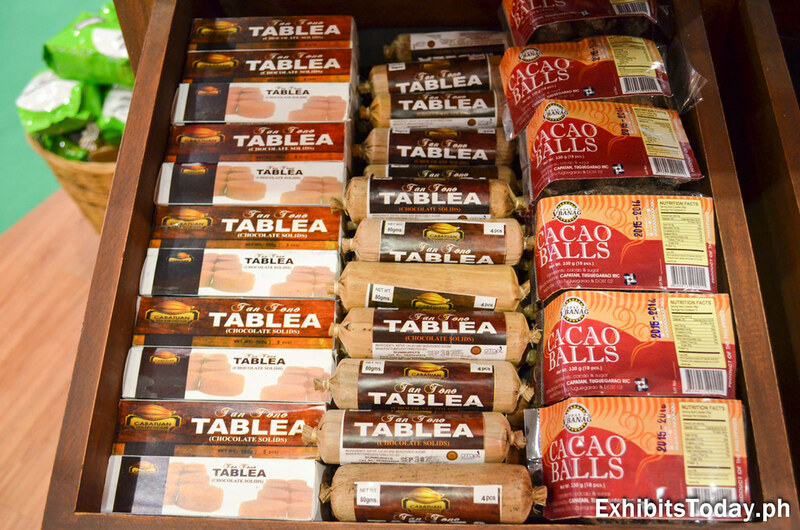 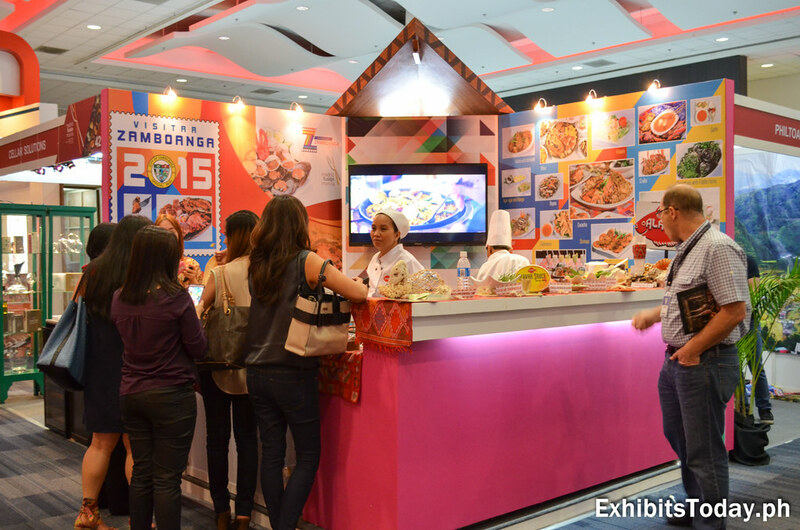 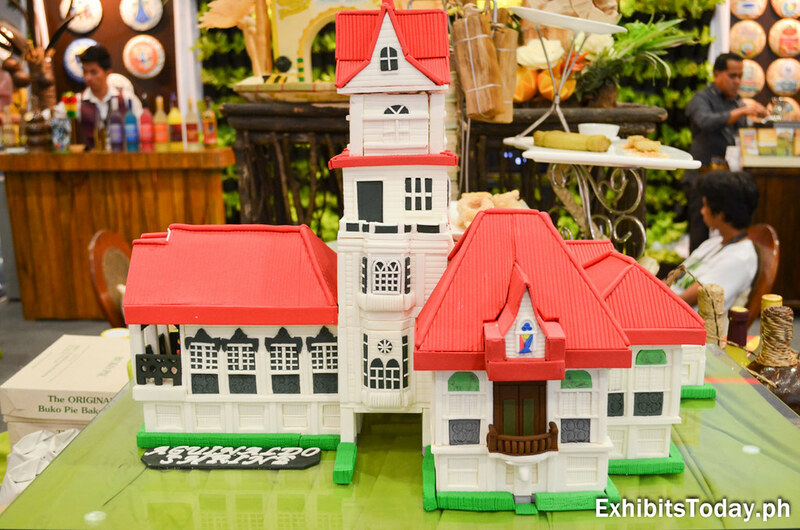 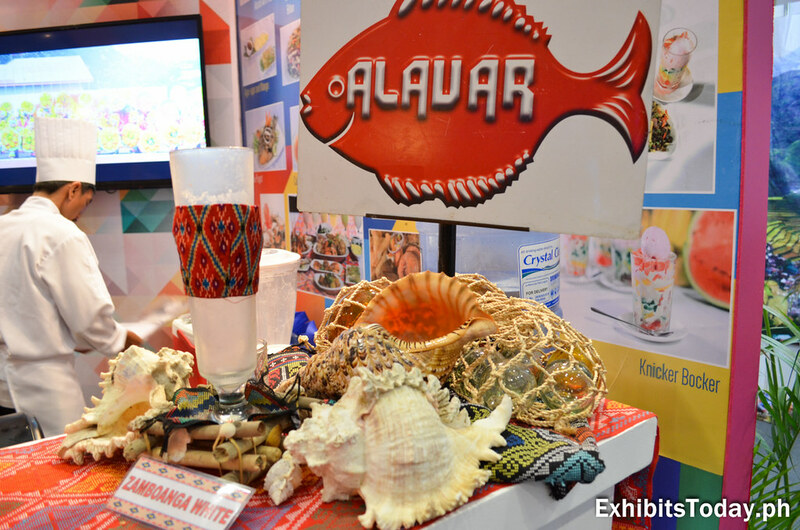 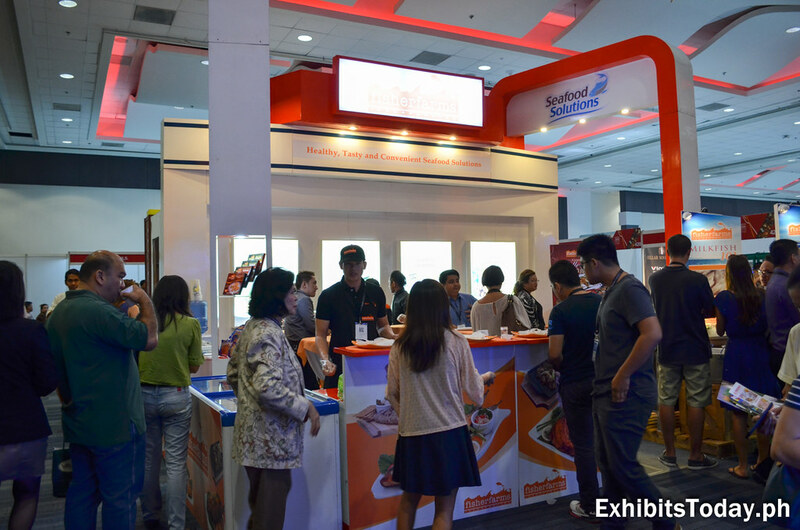 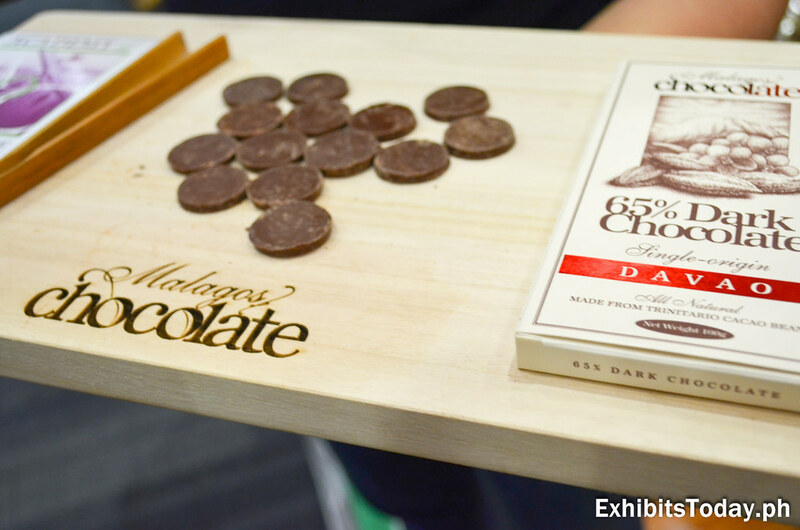 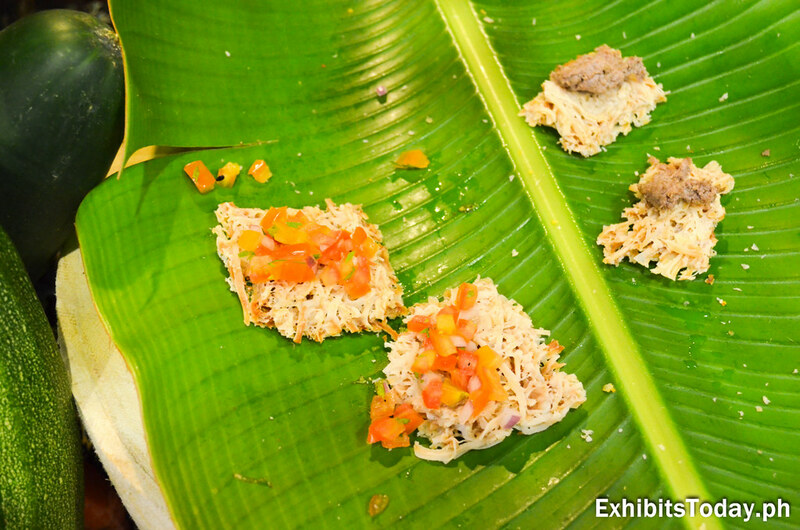 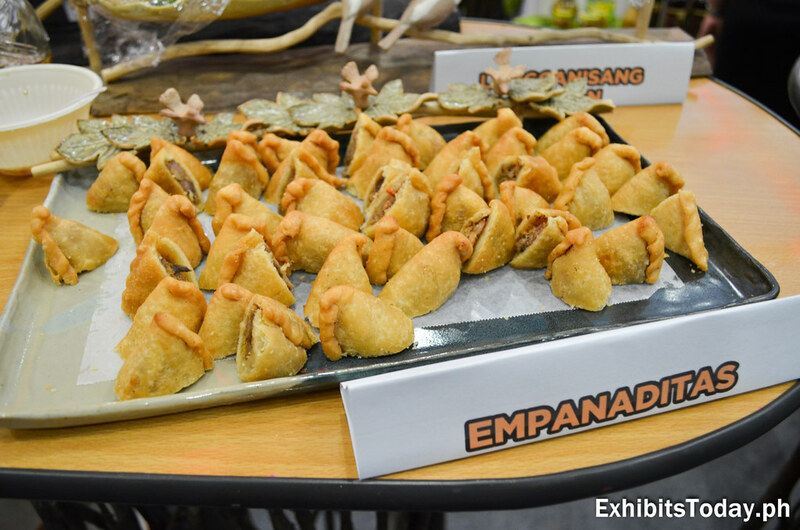 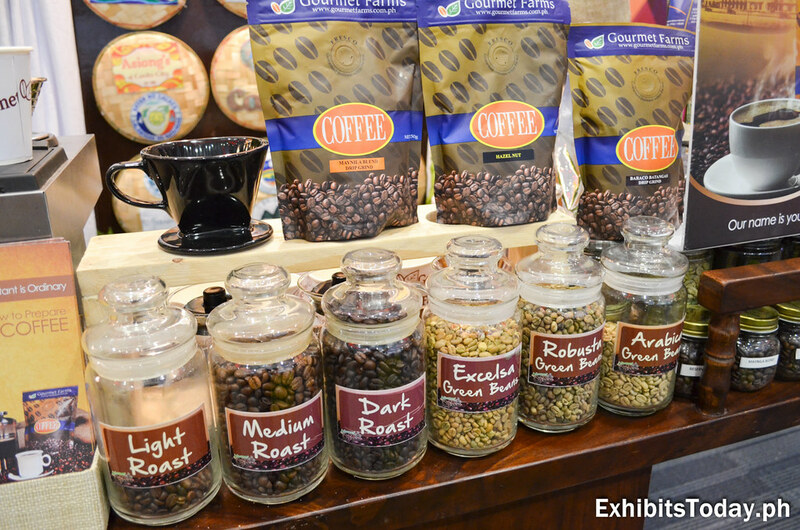 At the CALABARZON booth, visitors are able to enjoy the favorite Filipino "meriendas" and Southern Tagalog delicacies. 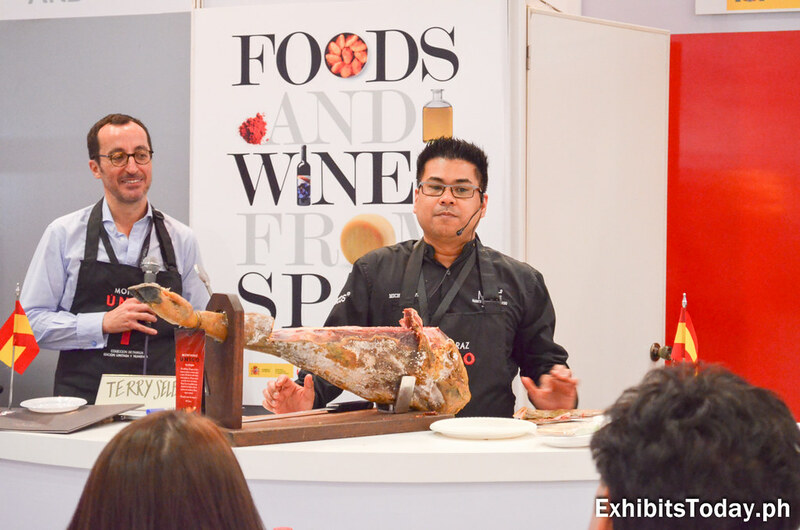 Something new to a Filipino eye is this big dry-cured ham leg called Prosciutto (hat tip to my Patrick Hizon for the term, BTW). 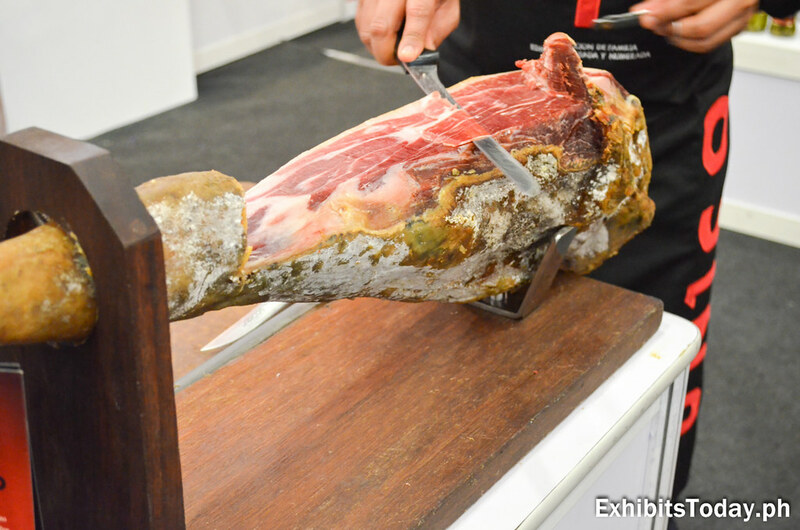 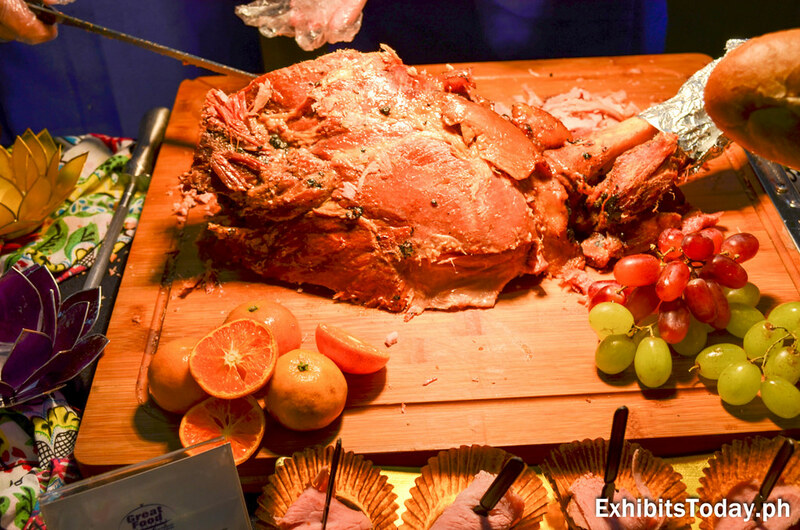 This expensive ham leg is traditionally served into thin slices and uncooked. 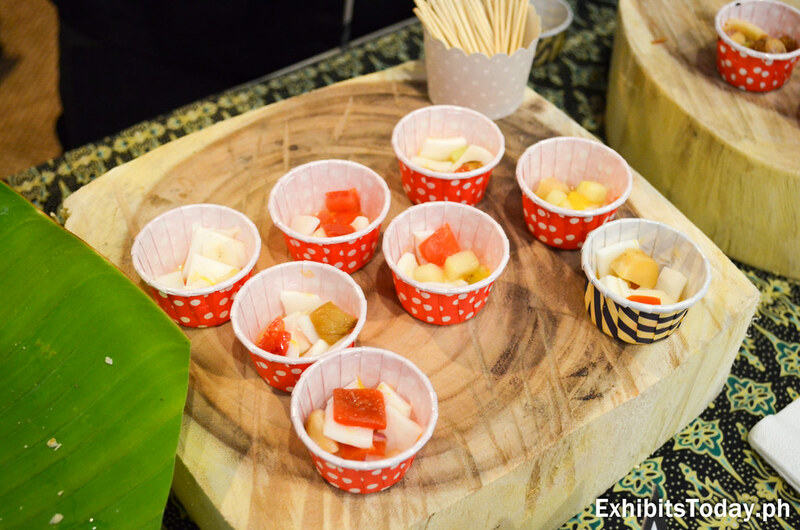 Surprisingly, it taste so good! 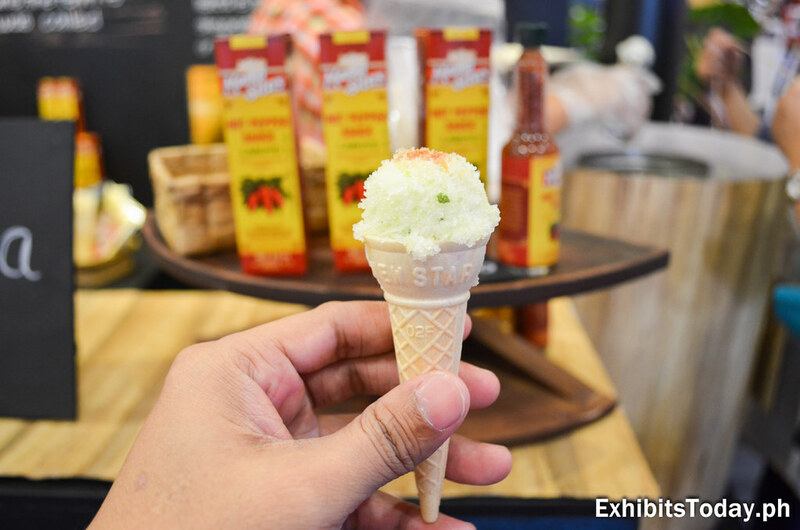 Philippines' favorite flavoring, Mama Sita's shares the taste of Filipino dishes using their hot pepper sauce - even on a cucumber ice cream! 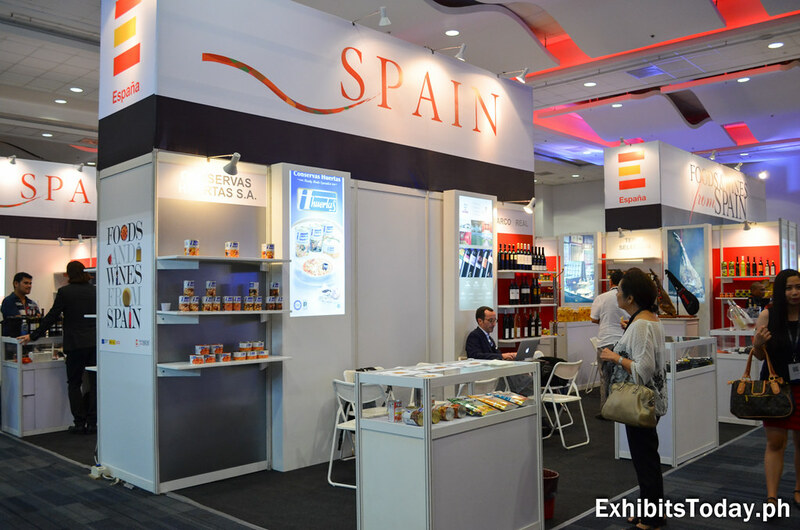 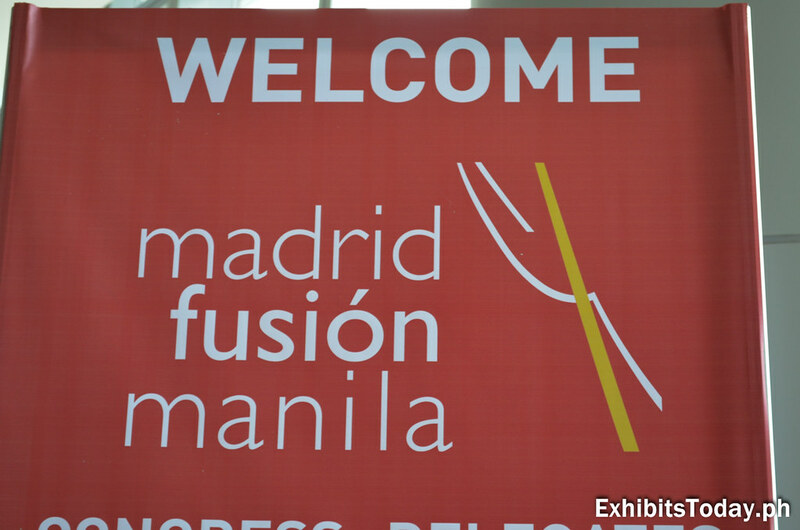 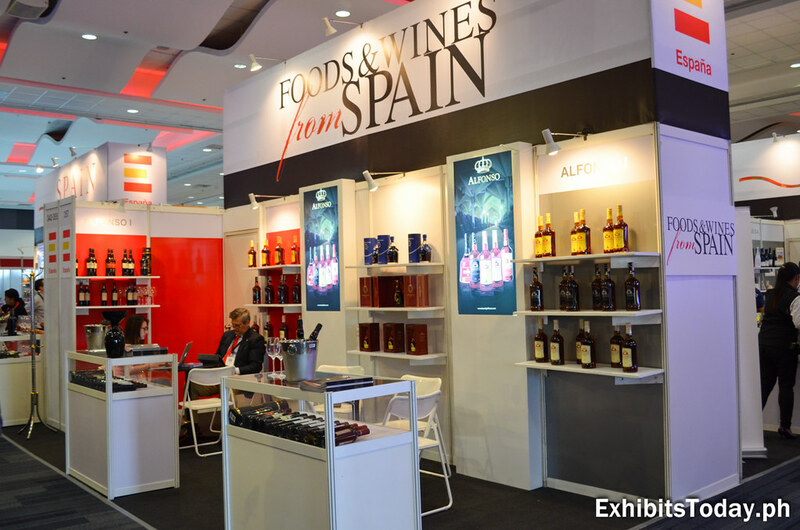 Congratulations to the organizers of Madrid Fusion Manila 2015 for making this prestigious food fair, possible! 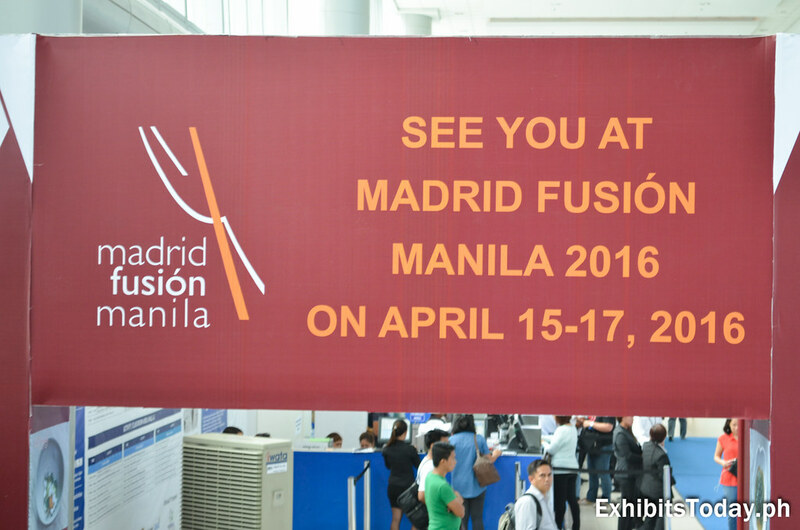 Till next year!